On the back of a host of FIM Monster Energy Motocross of Nations (MXoN) announcements, Team Germany has confirmed its line-up for RedBud’s 2018 edition in the United States of America, scheduled for 7 October. 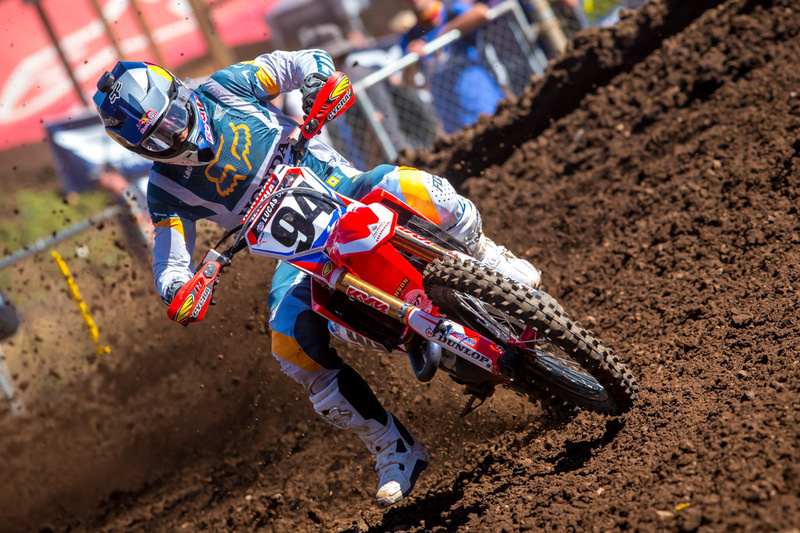 For the first time since 2013, Honda HRC’s Ken Roczen will rejoin the squad as it endeavours to earn the Chamberlain Trophy for the second time in history, last capturing the prestigious honour with Roczen at the helm in 2012. The American-based contender, who sits third in the Lucas Oil AMA Pro Motocross Championship after recovering from a host of serious arm injuries, will be joined by MXGP veteran Max Nagl (TM Factory Racing) and youthful talent Henri Jacobi (STC Racing Husqvarna). It was revealed yesterday that Team France, the nation that has successfully earned victory at the MXoN since 2014, would snub AMA regular Marvin Musquin (Red Bull KTM Factory Racing) for a spot on the team in favour of Gautier Paulin (Rockstar Energy Husqvarna Factory Racing), Dylan Ferrandis (Monster Energy Yamalube Star Yamaha) and Romain Febvre (Monster Energy Yamaha). Team USA is anticipated to be announced this weekend at the Unadilla national, while Team Australia is likely to be revealed in the coming weeks.